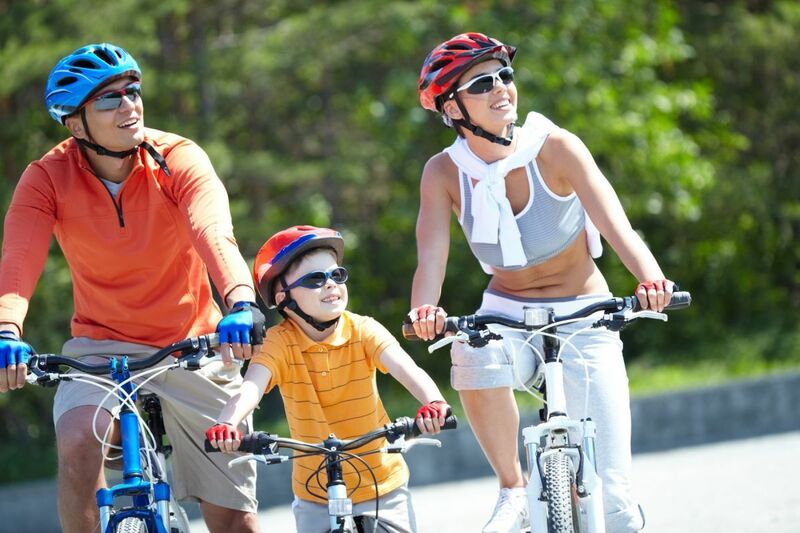 We offer 8 bicycle routes with a total length of 281 km. These are typically recreational trails of varying difficulty. Its range covers the area of Żyrardów and Grodzisk district. Their length is adjusted to the ability of the average weekend tourist - from 15.6 to 46 km. Cyclists with higher requirements can combine them freely on longer and more varied trips. Every enthusiast of two wheels will find here an interesting route for themselves, from easy to demanding ones. We invite you to plan and implement interesting trips, during which you will be able to get to know the flora and fauna of our region. Good luck on the rout! Hiking, is next to cycling, the best way to get to know our region. We currently offer 3 hiking routes. Their length is adjusted to the ability of the average weekend tourist - from 4.5 to 13.6 km. However, if our routes prove to be too short for you, you can extend each of the proposed trips and visit other beauty spots in the area. Take advantage of our rental services or take your sticks and move ahead - march for health! 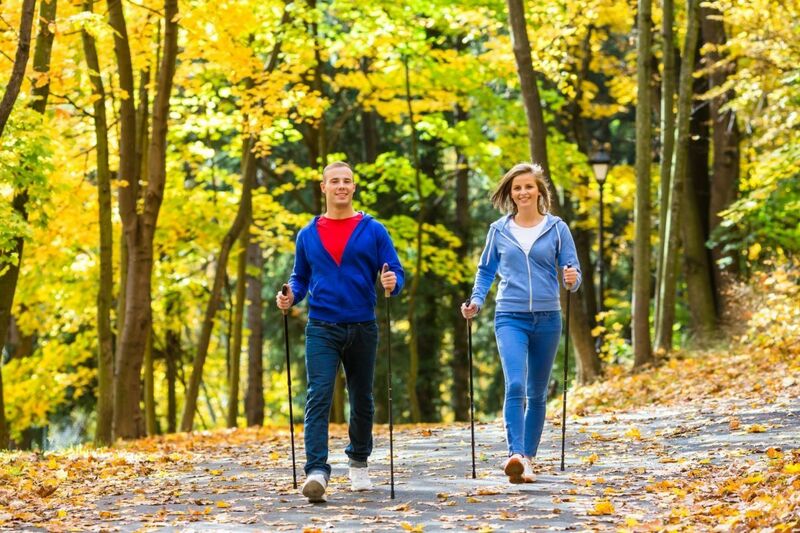 Walking with Nordic Walking poles is a great way to improve your physical condition and achieve many health benefits. The most important thing is good training and getting to know the right technique. Thanks to them, you will improve the functioning of the respiratory and vascular systems. 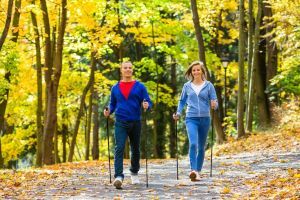 The great advantage of walking with sticks is the possibility of burning more calories than during ordinary walking or even running, all without the burden of the osteoarticular system. Have a nice walk! We have marked out and labeled 2 cross-country skiing trails with a length of 3.4 km and 1.2 km. They are located in the beautiful forest area of St. Anne Ponds. As soon as favorable weather conditions appear, we invite you to take advantage of the routes and free equipment rental. Our equipment for routing cross-country skiing trails compacts snow and traces the skis, and thus allows us to prepare routes in any location. 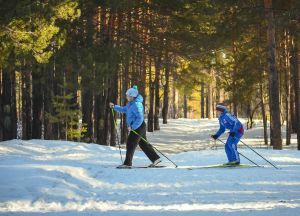 Besides the obvious benefits for health, cross country skiing also offer the opportunity to commune with nature, actively spend time with family and friends, as well as mental and physical relaxation. 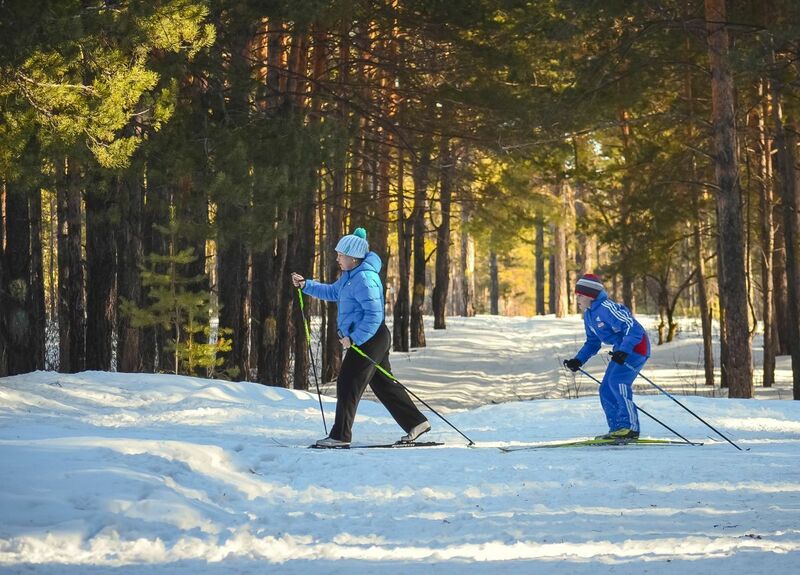 Discover with us all the advantages of cross-country skiing! Take a map of the trails from the Tourist Information Centre and run with us!